Do you remember the battle for the 7-year European budget for the 2014-2020 period? How British Prime Minister David Cameron was proud of the fact that he won the fight for the first real lowering of the European budget, despite the EU had expanded with one more member? He even went as far as placing the decrease in EU spending as a condition for Great Britain’s remaining in the EU. As a result the biggest headings in the European budget were noticeably trimmed, and the smallest ones got an insignificant raise. Ironically, it was exactly the two most important headings in the current situation with the refugee crisis and the military conflicts along the EU’s periphery that show how David Cameron won a Pyrrhic victory in the negotiations over the EU’s multiannual financial framework. 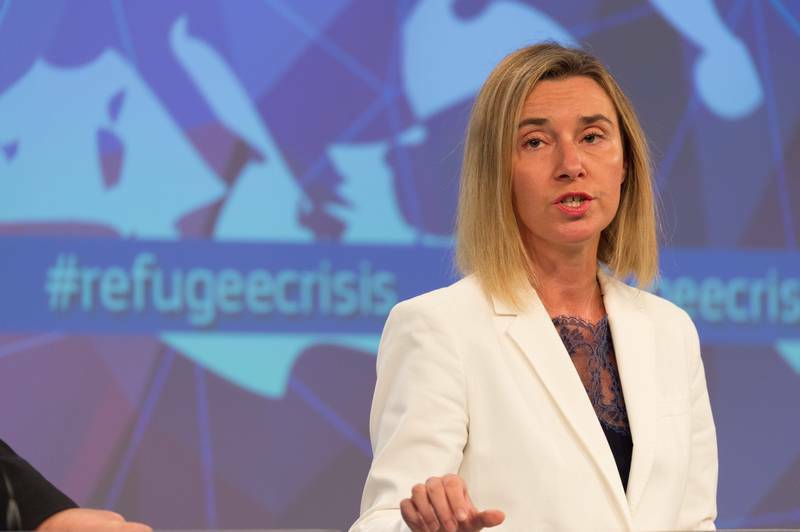 Last Wednesday (September 23rd) High Representative of the European Union for Foreign Affairs Federica Mogherini admitted publicly that one of the reasons for the coming of hundreds of thousands of refugees is namely the budget cuts in agencies working in the field, especially in Turkey, Lebanon, and Syria itself. During the last three years the European budget has for the first time shown deficit and negotiations on the annual contributions became a leading European issue. It looks like it is going to be different this year, at least regarding annual budgets. For now. 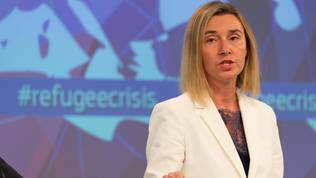 Ms Mogherini made her statement after the European Commission meeting, at which it was agreed that the financing of all activities, pertaining to the refugee crisis, will be doubled. 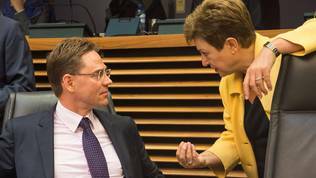 Vice-President of the EC in charge of Budget Kristalina Georgieva (EPP, Bulgaria) announced that financing is being raised from 4.5 billion euro to 9.2 billion. With it the three agencies working in the field will be financed, as well as reinstating funding for the World Food Programme up to its 2014 level, covering the expenses for refugees’ direct needs like food and shelter. Additional monies are being set aside for the regional trust fund of the EU, for the emergency trust fund for Africa, and for aiding the neighbouring countries most-affected by the Syrian conflict. The EC’s decision to increase, or rather reinstate financing to previous levels was also supported by member states’ leaders at their emergency summit in the evening of September 23rd. British PM David Cameron did not miss the opportunity to stress that Great Britain is the only state that allocated the most funds (after the US) for Syria. According to the EC, however, member states have all cut down their financial input into the World Food Programme, which has been complaining for months from insufficient financing. The Netherlands is the only member state that has increased its budget by 5.8%. Many member states, however, have cut down their contributions to this international agency by 100%. Some of these states are the ones that criticise the refugees the most. Those are Hungary, Slovakia, and also Estonia. The United Kingdom has lowered its contribution to the programme by 29.5% and the Czech Republic by 25.6%. Bulgaria is among the states that made the least cuts, but their contributions are negligible anyway. Bulgaria’s instalment this year is 101 000 euro. Compared to last year the cut is by 9.3%. Greece, which is the state most heavily hit by the refugee wave, has also decreased its input by 100%, but this is understandable considering the economic situation the country is in. Malta on the other hand has never paid anything, while Romania and Croatia’s contributions are close to zero. The EU’s contribution through the European budget has also been cut down by 47.1%, although the two most important items in this budget “Global Europe” and “Citizenship, freedom, security and justice” have practically been increased. The first one has grown by close to 2 billion euro compared to the previous seven-year period – from 57 billion euro to 59 billion euro. This is the heading which the foreign policy goals of the Union are being funded under, like humanitarian aid, foreign policy, instruments to neighbouring states, including enlargement countries, the instrument for security and peace. The second item has been increased by more than three billion euro – from 12 billion in the 2007-2013 period to 15.7 billion for the 2014-2020. Part of it is the Asylum, Migration and Integration Fund (AMIF). It is being used to send money to the member states most affected by the refugee tide. Hungary, for instance, has been allocated 85 million euro for the entire 7-year period, which include the security fund, of which the country has already received emergency aid of five million euros plus another 1.5 million euro emergency help for the guarding of borders. The total budget for Italy is 523 million euro and the emergency financing requested by the state this year is 13.6 million euro from the refugees fund and 5.5 million euro from the fund for border protection. Greece has been allocated 446.7 million euro and the urgently paid in advance sum is of 1.2 million euro with more requests awaiting approval. For guarding the borders Greece received 7.5 million euro. Those are the three states that are at the outpost to meet the refugee tide. Bulgaria has also received emergency aid to the amount of 4.2 million euro from the refugees’ fund. It has been allocated 10 million for refugees and 40 million for supporting border patrol. According to Ms Georgieva, the extra expenditures are being financed from unused funds for this year but most of all by re-programming of the 2015 budget. She assured that the budget is still within the frames of acceptable limits with all available flexibility having been used. It is not clear how long will the European budget withstand the pressure, keeping in mind that forecasts are for a steady if not increasing refugee flow. She added that work is already being done on the national programmes of member states to see if anything could be squeezed out from there. Word is mainly of the programmes, financed by the European Social Fund. 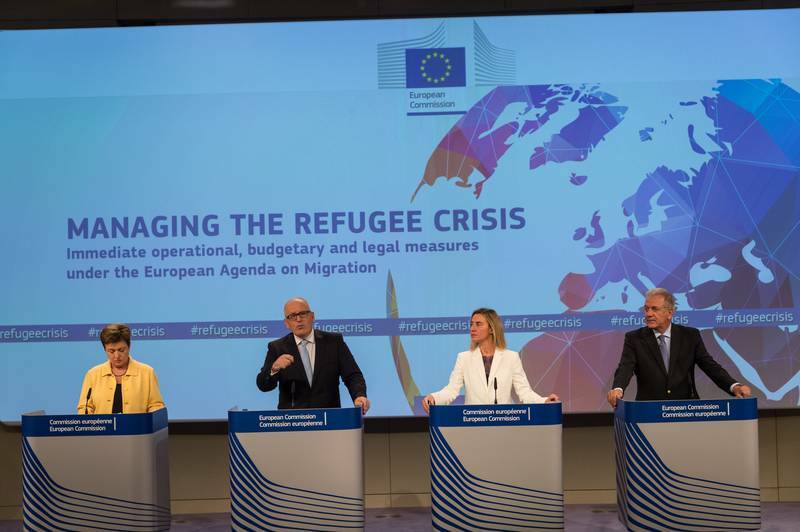 Will the refugees affect national budgets? 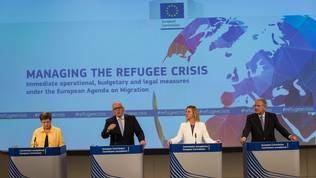 Ministers of Finance of the EU admitted at their informal meeting in mid-September that the migrant-refugee crisis will affect the European budget as well as national budgets. The ministers entrusted the Commission with the preparation of an analysis on whether the refugee crisis matches the definition for “exceptional circumstances”, which would allow for a deviation from the budget deficit and public debt targets. Such circumstances are “exceptional occurrences beyond a member state’s control and which has profound reflection on the state’s financial positions". 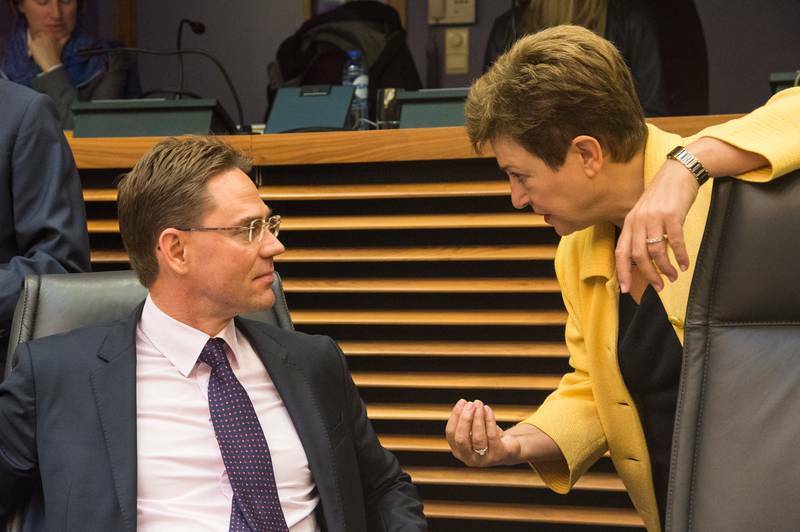 European Commission Vice-President Jyrki Katainen (EPP, Finland), who is in charge of investment in the EU, stated that it is highly unlikely the EC gives member states carte blanche to exceed budget deficit using the refugee crisis as an excuse. After Wednesday's meeting of the College he said that fiscal rules contain enough inbuilt flexibility and adding more is unnecessary. He also said the interpretation of flexibility in the Stability and Growth Pact, presented by the EC at the beginning of the year, is clear enough. It explicitly says in it that the use of “exceptional circumstances” has to be limited to really exceptional and very well analysed situations so that the moral hazard effect is minimised. The EC’s official analysis is not ready yet. It needs to take into consideration one more important factor that was discussed by EU Commissioner for Employment, Social Affairs, Skills and Labour Mobility Marianne Thyssen (Belgium, EPP). Last week she noted that integrating refugees will affect member states’ employment programmes, for in 2012 and 2013 unemployment amid non-EU citizens was 22%, or double to that of EU nationals. Moreover, 18% of third country nationals aged between 25 and 34 are with extremely low educational level and 39% of third country citizens’ households are living in poverty and risk of being secluded in ghetto-type neighbourhoods. 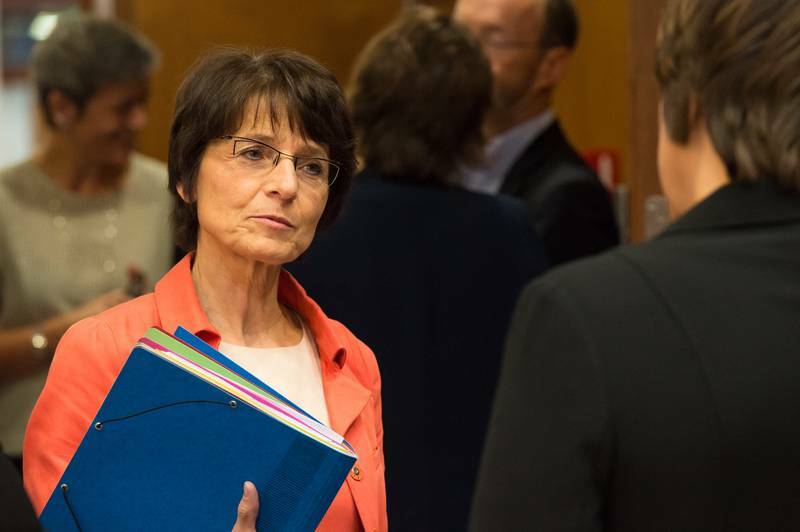 Marianne Thyssen urged member states to fulfil their obligations and take care of the integration of refugees in the labour market and education system. Member states must grant access to those seeking asylum to their labour markets latest 9 months after the date they filed their international protection application. She sees a problem also in the non-recognition of qualifications for non-EU citizens. If this is improved, their labour market integration will be speeded up significantly. 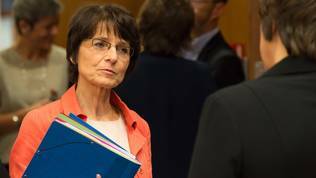 Her message, however, was in sharp contrast to the statement of Vice-President Katainen, who thinks refugees lacking the necessary qualifications and unable to integrate into the labour market should be sent back immediately as soon as it is possible. The seven-year budget of the EU for the current period will be reviewed in depth by the end of 2016. After this review there will be a decision as to whether any corrections are needed and in which direction.